Some poets submit their work carefully presented, bio-lines attached, picture perfect. Other poets send a cache of new expressions with commentaries, back stories, a dozen bytes of miscellanea, sometimes regardless of the submission guidelines. A handful treat the submission email address as an opportunity to mailbox every new poem that fits the bill. The late, great Brian Doyle — who died a year ago, on 27 May 2017 — was one of the latter. Unlike some other poets of the compose-dispose school, however, Brian's poetry was anything but a matter of diminishing returns. No sooner had all the components of his latest composition clicked than it landed in the editor's inbox with some remark in the subject line like 'this one might tickle your fancy'. Frequently it was the one word, 'and'. The poetry just kept on coming. The evidence, from one line onwards, was unmistakeable Doyle. Imitation was impossible, self-parody ditto. Gore Vidal loved to say that Tennessee Williams knew how to do only one thing, but he did that thing better than anyone else. Brian Doyle's poetry was a bit like that. So many poems, so many ideas, but nearly all of them written in a trained story-telling voice that subtly divulged meaning through asides, exclamations, double takes, and other canny tricks. His skill at getting your attention ('It was in second grade that I discovered I could not see' is the opening line of 'Sister Anne Marie') and holding it was of a piece with his seemingly effortless digressions, wacky objective correlatives, and witty cultural insights. His confidence with this thing meant he could travel widely for subject matter. I ponder the consistent squareness of his poems, square-shaped, on-the-level square talk, a square meal. They must imitate in some way his spoken voice as the phrases link and change, build and undercut, a confiding voice wishing to say as much as possible as clearly as possible. Brian himself was no square. He was many-sided and apt to think right outside the box. Poetry was where he discovered the fullness of surprise. An editor, a reader, you and me, had to be on the alert. Part of his charm was unpredictability. 'Anyone who has endured brief infatuations with folks who thought they were poets has, ipso facto, suffered through poetry readings during which small quiet poets gripped lecterns like the steering wheels of great ships, explained at incredible length the circumstances under which they committed their poems like raving sins, whispered their elephantine incoherent epic, and then, incredibly, explained at herculean length how the birds in the poem are actually symbols of revenge. "His poetry is peopled with the humanity he was learning from all the time, themselves dealing with the limitations of being human." His themes range widely but an abiding motive of his writing is his great love of others. He writes about his family (the objective correlative may be an objectionable relative), politicians and dropouts, football barrackers and born theatricals, priests and nuns, next door neighbours and the faithful departed. His poetry is peopled with the humanity he was learning from all the time, themselves dealing with the limitations of being human. Something that will reveal more of himself than he knew he knew. Write about very well; or maybe he's just a nutter with a typewriter. 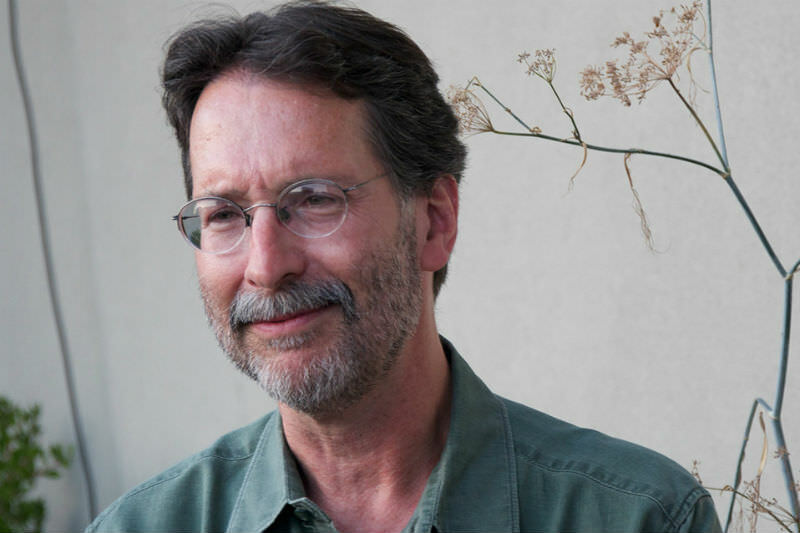 I had the pleasure of meeting Brian Doyle personally over many years, even though he lived in Oregon and I have never been to Oregon. His poems arrived in the inbox with 'what about this?' in the subject line, square and many-sided, energetic and unpredictable, prompting all sorts of surprise responses, just as they do now when I type, and start reading. I agree with Philip about Brian's one-string bow, but what an instrument. I recognise my love affair with poetry - it's an indulgence and a necessity. And, as I can't produce a poem for the life of me, the life of me is enriched by other people's poems. Those poems are incredibly important and the poets know it. They have a big response ability. I laughed out loud reading Brian's poetry, more so than with anyone else I have ever read. His humanity and insight brought me a great deal of joy, and his sharing of pain and hard times was sacramental. Thanks ES for your tribute to Brian Doyle.On this first anniversary of his death it is Autumn here in Australia. Brian converted ordinary ,everyday things into things of wonder. Falling, colorful leaves became something quite different with his musical, magical words and stories. Joy, gratitude, the love of family, the growth of the human spirit filled his writings.His words showing us how to live and die are ours forever. Rest in Peace Brian..